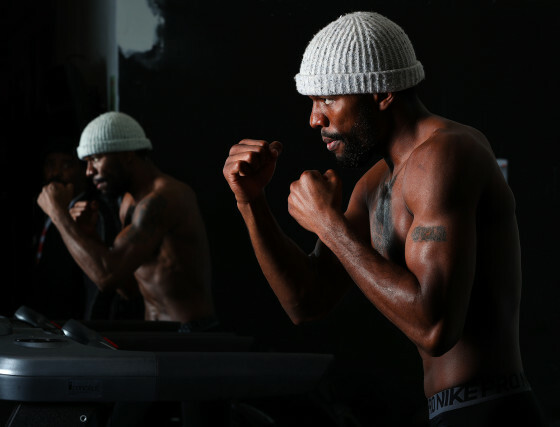 On January 13, unbeaten 168-pound contender Caleb “Sweethands” Plant will battle IBF super middleweight champion Jose Uzcategui in the main event of Premier Boxing Champions on FS1 and FOX Deportes, from the Microsoft Theatre at L.A. Live in Los Angeles. 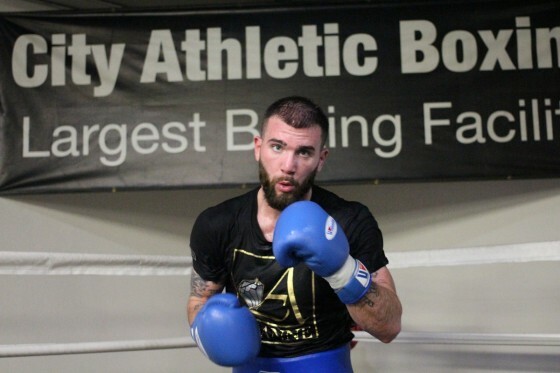 Plant (17-0, 10 KOs), originally from Nashville, Tennessee but now living and training out of Las Vegas, Nevada, will put his boxing skills on display vs. Uzcategui (28-2, 23 KO’s), one of the biggest punchers in the division. PHOTOS: Canelo Demolishes Rocky Fielding in Three; Where Does he go From Here? On Saturday night, Dec. 15, Mexican superstar Saul “Canelo” Alvarez (51-1-2, 35 KO’s) easily dispatched former champion Rocky Fielding (27-2, 15 KO’s) on his way to collecting the WBA super middleweight title. 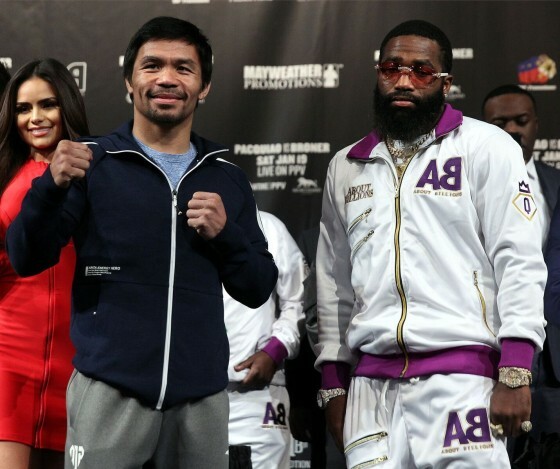 The fight took place from the Madison Square Garden in New York and was showcased on the DAZN streaming app. 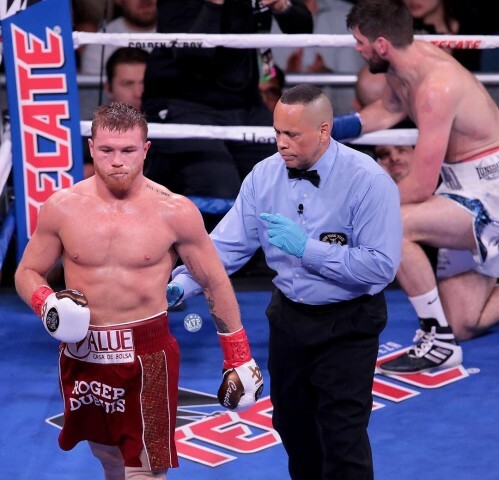 Canelo’s relentless body work proved to be too much, as he registered knockdowns in every round, two in the third and ultimately final round, before the contest was waved off. The fight was a mismatch on paper and Canelo did his part to prove odds makers correct. This Friday night, inside of the American Bank Center in Corpus Christi, TX, once-beaten supermiddleweight contender Jesse “Hollywood” Hart will look for revenge vs. the division’s WBO champion, Gilberto “Zuro” Ramirez. 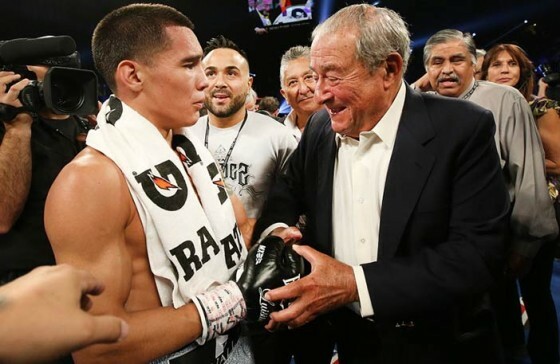 In September of last year, Ramirez (38-0, 25 KO’s) dropped Hart in the first round and went on to win a unanimous decision despite the Philadelphia fighter storming back to make things competitive. Hart knows he is likely going to need a career-defining performance to turn the tables and that’s what he is banking on. 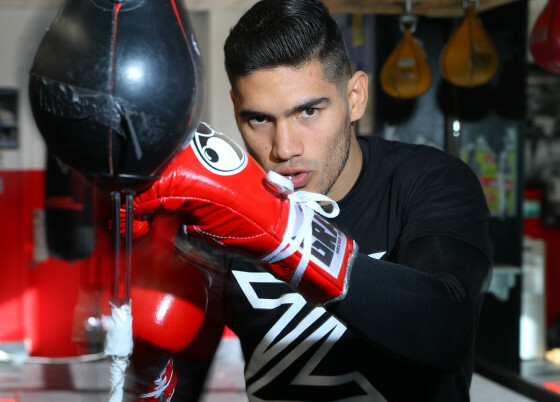 This coming Friday night, Dec. 14, from the American Bank Center in Corpus Christi, TX, WBO super middleweight champion Gilberto “Zurdo” Ramirez will face off with contender Jesse “Hollywood” Hart (25-1, 21 KO’s) on ESPN+. The fight is a rematch of their Sep. 2017 battle in which Ramirez won via unanimous decision. Ramirez (38-0, 25 KOs) is looking for a fifth successful defense of his title and is promising a knockout vs. his rival. Once again, for the third time this year, I find myself in the country of Thailand, getting a bit lost in all that the beautiful land has to offer. But, unlike my first two trips where I stayed in and frequented many areas of Bangkok, I decided to move up north this trip to the small town of Pai. One of my main goals in the early months up here in Pai, before I likely again head back to Bangkok to finish my trip, was to get familiar with the Charn Chai Muay Thai Gym. Ran by former Lumpinee and Rajadamnern #1 ranked “Bee” Monkoldej Sitthepitak, the gym has a very welcoming atmosphere that suits both professionals and beginners. But make no mistake about it, the work is very intense and you have to be committed to get through each session. When we first crossed paths with prospect Darren Cunningham III a few years back, he had yet to make his professional debut in the sport. Fast forward to today, and Cunningham is now officially a professional prospect, carrying a 7-0 record with three knockouts in the junior featherweight division. 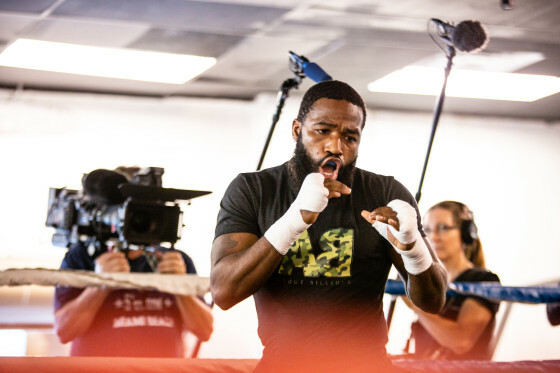 Cunningham is actually promoted by his friend and fellow fighter Devin Haney (20-0, 13 KO’s), and last saw action this past September 28 in Temecula, CA, as he won a decision over Saul Eduardo Hernandez. In the main event of that evening, Haney won a 12-round unanimous decision over former world title challenger Juan Carlos Burgos. 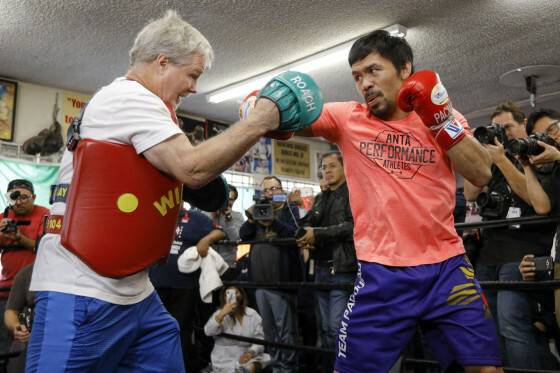 We recently swung through City Boxing in Las Vegas during our most recent visit back in town. 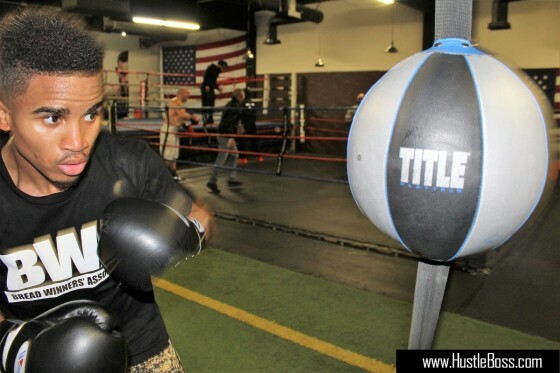 We were just in time, as 20-year old lightweight contender Devin “The Dream” Haney (20-0, 13 KO’s) sparred some nice rounds with undefeated prospect Eryk Apresyan (1-0, 1 KO) and it was a good look at how far Haney has progressed in his early years as a professional. 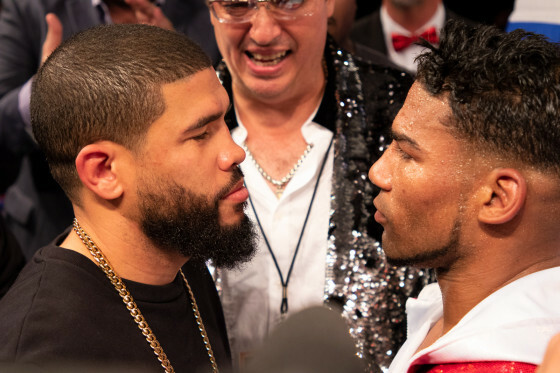 On Saturday night, in Miami, FL, former world champions Juan Manuel Lopez and Yuriorkis Gamboa won separate bouts to pave the way towards a potential showdown in 2019. Lopez (36-6, 32 KO’s) dropped Argentina’s Cristian Ruben Mino (19-3, 17 KO’s) four times, as he scored a ten-round unanimous decision. Lopez looked several times like he was going to finish the fight, but his opponent stayed resilient. 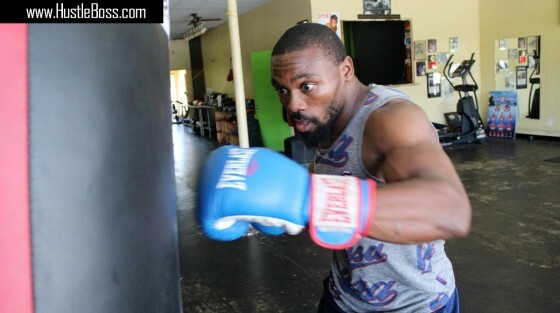 On Tuesday afternoon, Nov. 6, we linked up with junior middleweight veteran “Magic” Marcus Willis inside of his personal gym, Team Willis Boxing and Family Fitness, in Fort Myers, FL. Willis (18-6-2, 5 KO’s) is the type of fighter whose record isn’t truly indicative of the kind of skill and ability he possesses. 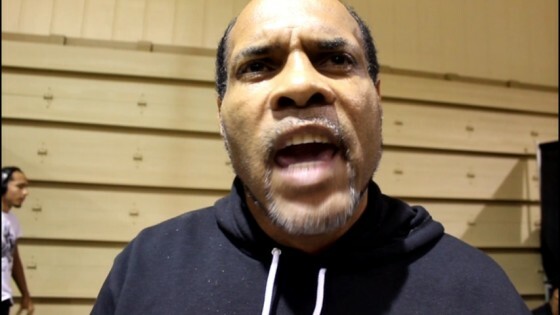 Several of his losses have been questionable decisions that could easily have went in his favor. Yet, Willis still continues to fight on and discussed with us what he has been up to. It was about nine years ago when we crossed paths with Willis down in Florida, as we were introduced to him and his brother Quinton, also a fighter, through former lightweight champion Nate “Galaxxy Warrior” Campbell. On Saturday night, Nov. 3, inside of the Don Haskins Convention Center in El Paso, TX, WBC junior lightweight champion Miguel Berchelt delivered a brutal beating on worthy but outgunned contender Miguel “Mickey” Roman for a fourth successful defense of his title. Berchelt (34-1, 30 KO’s) scored three knockdowns along the way, two in the sixth, and one three rounds later, before the contest was stopped in round nine. 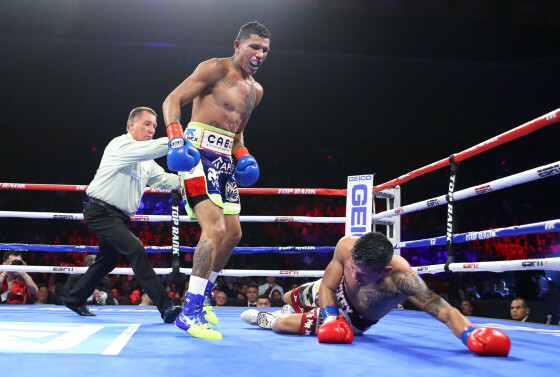 The all-Mexican showdown, aired on the ESPN + streaming app, delivered as expected, but was a bit more one-sided than one may have liked. 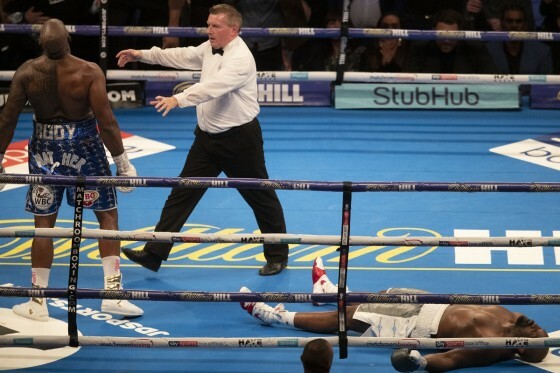 Roman (60-13, 47 KO’s) was valiant in the face of such a savage attack, and perhaps the fight could have been stopped a few rounds earlier. 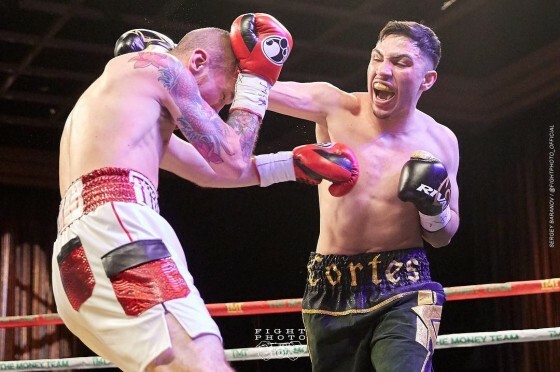 On Saturday night, inside of the Sam’s Town Hotel & Gambling Hall in Las Vegas, undefeated lightweight prospect Andres “Savage” Cortes (9-0, 6 KO’s) stopped previously undefeated Omar Castillo (5-1, 2 KO’s) in the third round. We’ve been knowing Cortes for some years now, back to when he was still an amateur fighter trying to find his way in the game while still just a teenager. 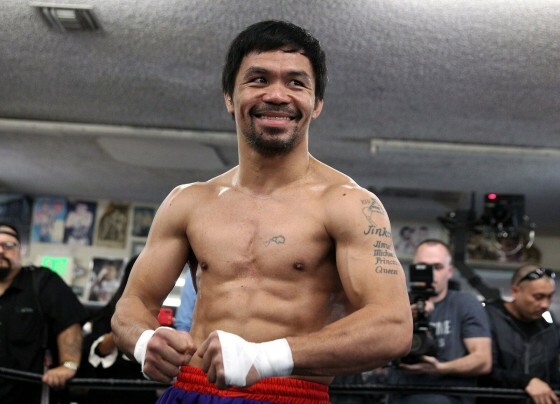 Now, under Mayweather Promotions, the 21-year old is seeing his career flourish. At this rate, Cortes could be in line for some big fights within a few years time. 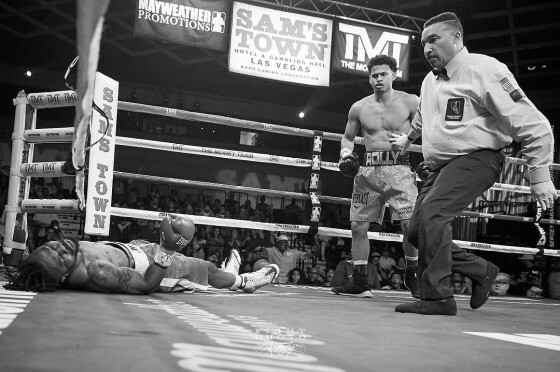 Inside of Sam’s Town in Las Vegas, this past weekend, undefeated TMT promoted power puncher Rolando “Rolly” Romero moved to 6-0 with 5 KO’s after a vicious knockout over Dieumerci Nzau (11-6, 8 KO’s). Despite his opponent’s experience, Romero was able to stay composed on his way to a big KO win. 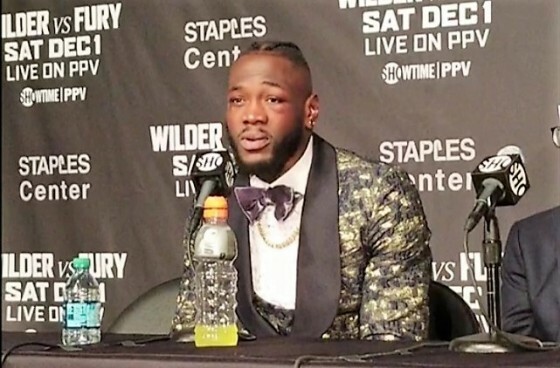 Check out what the Mayweather Promotions star had to say following the fight, including some choice words for fellow prospect Ryan Garcia, as well as weighing in on his knockout win.